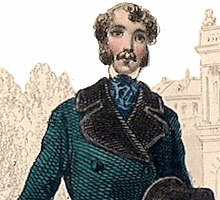 Gibert was a master card-maker whose fashionable playing cards were of a very high standard. 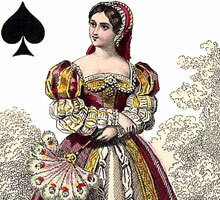 Gibert produced a range of elegant, neatly etched and hand-coloured costume playing cards during the mid-19th century, depicting contemporary fashion or that of bygone eras. 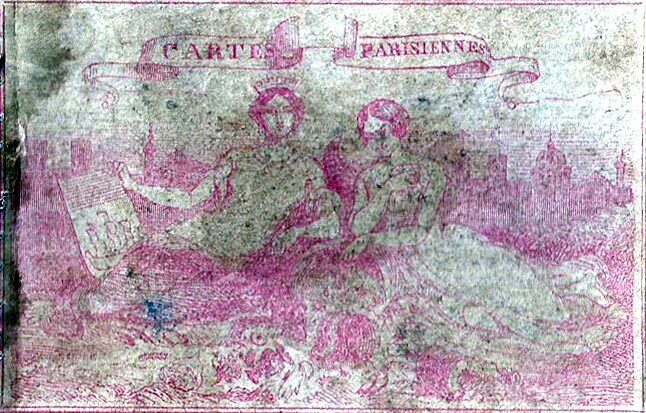 Packs were French-suited and usually came in an engraved paper wrapper with an ornamental title and an allegorical figure. Not a lot is known about the artist who sometimes signs as: Gibert, a Paris, or O Gibert Fabr. Paris or Paris Rue des Singes No. 3 except that his (or her) packs of hand-coloured playing cards are today much admired by collectors. 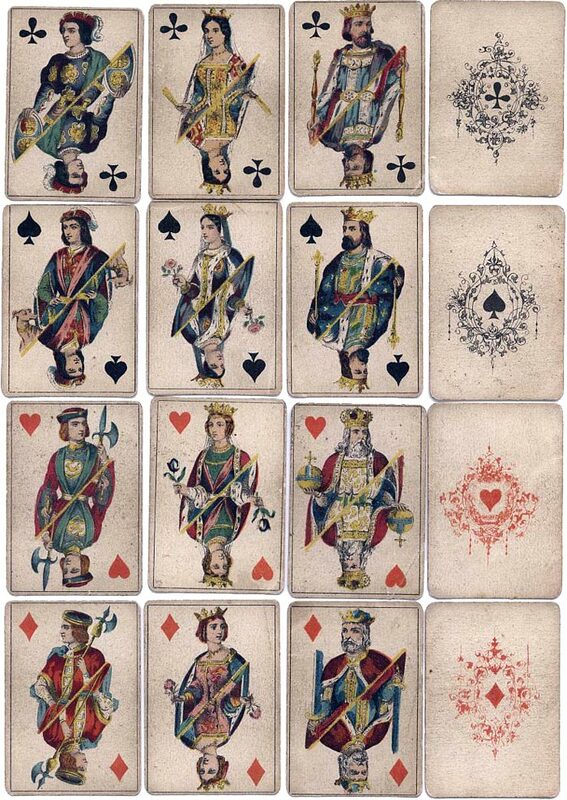 Above: cards from hand-coloured lithographed pack "Troubadour" with double-ended courts by O. Gibert, Paris, c.1858-60. 83x55 mms. Plain blue backs. 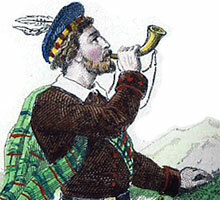 The style of the costumes is historic in character. The suit marks on the Aces are contained within an arabesque ornament. 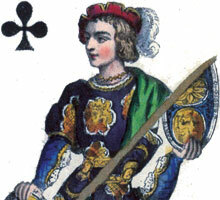 The maker's name appears on the edge of the Jack of Clubs' shield. Note: there seems to be some confusion regarding the titles of these similar French costume decks. Many of the wrappers have the title "Cartes Parisienne", but where the cards actually depict English historical personages, they are also known as "Jeu de Costumes Historiques Anglais", which leads to confusion with the deck below and also a Grimaud costume deck of the same name. Thanks to Rod Starling for generously sharing his knowledge and contributing images of cards from his collection.